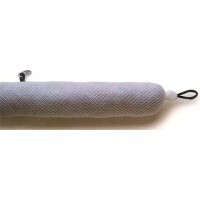 Use this product as a regular maintenance product to prevent and reduce the occurrence of drain clogging. Drain Lines and Down Pipes: Use 4 ounces of product for each 2 inches of pipe diameter twice per week. Grease Trap: Use 4 to 5 ounces of product for each 20 cubic feet capacity. Pour product into closet or pipeline during times of least use activity. After adding product, flush down with a cup of warm water. For larger grease traps, add 8 to 10 ounces daily following the same procedure. Sewage Plants, Settling Tanks: Use 4 gallons of product per million gallons of water per day for the first three days. Thereafter, reduce daily dosage to 2 gallons per day. Buses, Boats, Recreational Vehicles & Chemical Toilets: Add 2 ounces of product per 50 gallons of tank capacity. Then use 1 pint per week for maintenance. Septic Tanks: Add 1 pint of product per 25 cubic feet activity for the initial treatment. 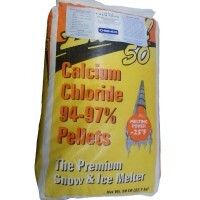 Product may be added to toilet and flushed into septic tank. 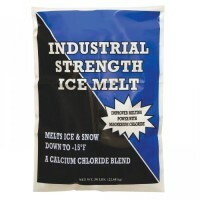 For maintenance use, add 8 ounces per week. Severe conditions may require treatment of 1 gallon directly into tank through manhole. When using this product always apply during times of least use activity so as to allow bacterial colonies to reach peak digestive action. 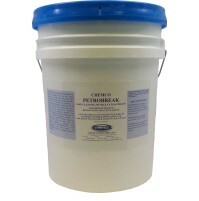 Cleans drainlines, grease traps, septic tanks, lagoons waste disposal plants, then keeps them open. Non-toxic, non-caustic. 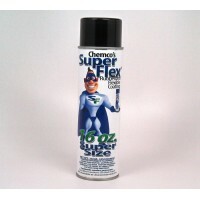 Liquid Alive Bacteria with Instant Odor Control. 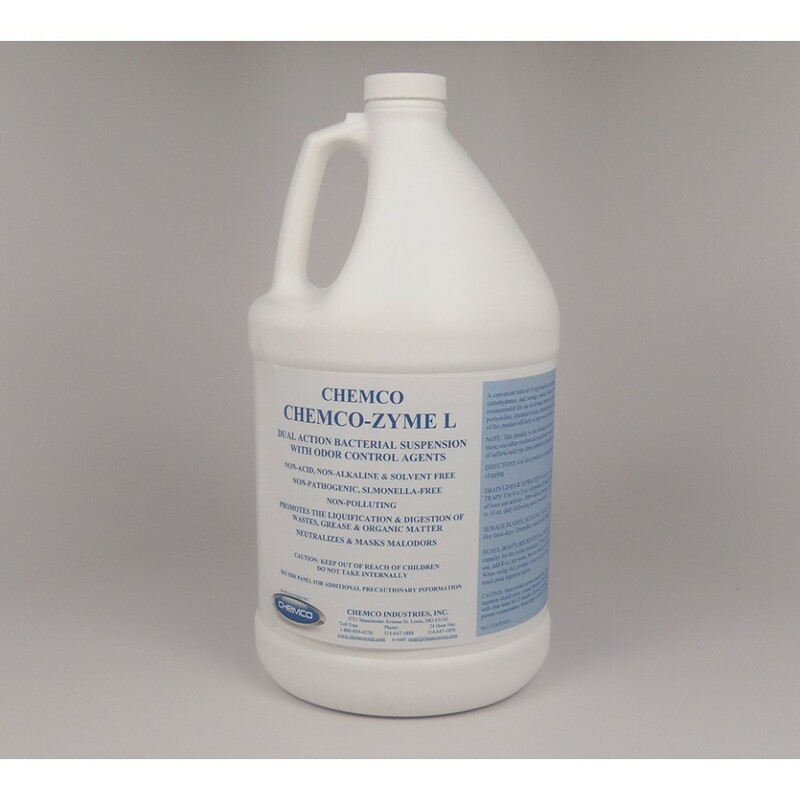 Chemco Zyme L is a suspension treatment consisting of specially developed bacteria, aerobic, anaerobic, and facultative in nature. They are harmless to animal and marine life and are non-pathogenic. 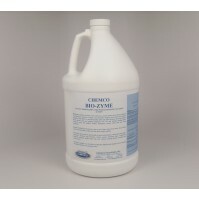 They eliminate BOD and consequently H2S and the foul odors and gases it produces. It not only masks odors, it eliminates their cause. 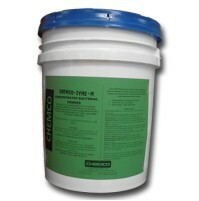 Chemco Zyme L cannot rest in the presence of organic waste materials, they immediately concentrate on building their colony population up to full strength, and then they go dormant. You might say they sleep with their eyes open waiting for work. As soon as new waste comes into their presence they swing into action. Anywhere in your plumbing system (elbows, bends, joints and Q ups). Where solid waste can accumulate, Chemco Zyme L can build a colony. As long as you continue to treat, the colony will stay and keep working for you.